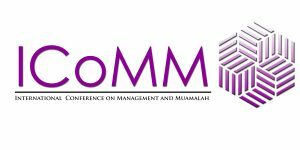 The 4th International Conference on Management and Muamalah 2017 (4th ICoMM 2017) is an international conference organized by the Faculty of Management and Muamalah, Kolej Universiti Islam Antarabangsa Selangor (KUIS). This conference aims to provide a platform for the participants to present and discuss the latest research and best practices in the respective fields related to various disciplines in Management and Muamalah. The main theme of this international conference is “Innovative Research towards Sustainable Economy”. The 4th ICoMM 2017 is a continuous effort by the faculty to help in the development of research and to share research findings at the international level. Best paper Awards for selected three outstanding papers. Best Presenter Awards for each parallel session.